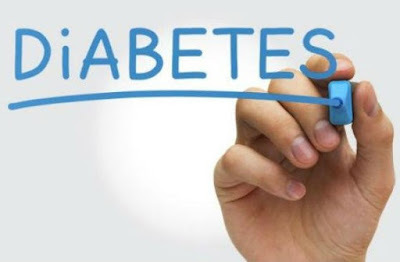 Diabetes is a disease that occurs when your blood glucose/ blood sugar, is too high. Blood glucose is your main source of energy and comes from the food you eat. Insulin, a hormone made by the pancreas, helps glucose from food get into your cells to be used for energy. Sometimes your body doesn’t make enough—or any—insulin or doesn’t use insulin well. Glucose then stays in your blood and doesn’t reach your cells. Type 1 diabetes is believed to be an autoimmune condition. This means your immune system mistakenly attacks and destroys the beta cells in your pancreas that produce insulin. The damage is permanent. What prompts the attacks isn’t clear. There may be both genetic and environmental reasons. Lifestyle factors aren’t thought to play a role. The exact cause of type 2 diabetes is unknown. Diabetes causes vary depending on your genetic makeup, family history, ethnicity, health and environmental factors. There is no common diabetes cause that fits every type of diabetes. For instance; the causes of type 1 diabetes vary considerably from the causes of gestational diabetes. Moving toward a healthy weight helps control blood sugars. Your doctor, a dietitian, and a fitness trainer can get you started on a plan that will work for you. Is it in the range advised by your doctor? Also, write it down so you can track your progress and note how food and activity affect your levels. To find out your average blood sugar for the past 2 to 3 months. Most people with type 2 diabetes should aim for an A1c of 7% or lower. Ask your doctor how often you need to get an A1c test. Know how many carbs you’re eating and how often you have them. Managing your carbs can help keep your blood sugar under control. Choose high-fiber carbs, such as green vegetables, fruit, beans, and whole grains. Diabetes makes heart disease more likely, so keep a close eye on your blood pressure and cholesterol. Talk with your doctor about keeping your cholesterol, triglycerides, and blood pressure in check. Take medications as prescribed. Regular exercise can help you reach or maintain a healthy weight. Exercise also cuts stress and helps control blood pressure, cholesterol, and triglyceride levels. Get at least 30 minutes a day of aerobic exercise 5 days a week. Try walking, dancing, low-impact aerobics, swimming, tennis, or a stationary bike. Start out more slowly if you aren't active now. You can break up the 30 minutes -- say, by taking a 10-minute walk after every meal. Include strength training and stretching on some days, too. When you’re sleep-deprived, you tend to eat more, and you can put on weight, which leads to health problems. People with diabetes who get enough sleep often have healthier eating habits and improved blood sugar levels. Stress and diabetes don't mix. Excess stress can elevate blood sugar levels. But you can find relief by sitting quietly for 15 minutes, meditating, or practicing yoga. You can obtain plenty of vitamin C from Indian gooseberry that is an antioxidant. The fruit possesses numerous health benefits including balancing sugar levels in your bloodstream. Consuming gooseberry supports pancreas activity and aids in the production of insulin. It could also become a safe source to lower excess glucose in your body. Nutritionists highly recommend diabetic to incorporate the adequate servings of black plum into their diet. The fruit contains antioxidants such as ellagic acid, hydrolyzable tannins, and anthocyanins. Regular consumption of the black plum can benefit people with type 1 and two diabetes alike. Once you learn that curry leaves are potent enough to maintain glucose levels in your bloodstream, you will add them to your meals regularly. The leaves are said to reduce sugar quantity obtained from the starch. Enriched with phytosterols, aloe vera can have an anti-hyperglycemic effect on the people with type 2 diabetics. Nutritionists suggest that it is a safe and natural source to alleviate fasting sugar levels in your blood. Also, you can prepare a mixture of turmeric, bay leaves, and aloe vera, this herbal medicine is said to control glucose in the blood. Guava is a powerhouse of fiber, and vitamin C. Studies have proved that both nutrients are essential when it comes to maintaining sugar levels in the diabetics. The high content of fiber in the fruit supports metabolism that ultimately leads to better sugar absorption. And the antioxidants will ward off further factors that contribute to type 1diabetes. Bitter in taste, neem is beneficial in treating diabetes. Studies have proved that incorporating Indian lilac can maintain blood sugar levels stimulating insulin activity without hindrance. Although natural sources do not contain adverse effects, it is still suggested to consult with your endocrinologist in case constant high glucose content in the bloodstream. You can reap plenty of polyphenol by consuming green tea. Nutritionists recommend at least one cup of warm green tea regularly to regulate irregular blood sugar levels. Cloves are said to be effective in treating insulin resistance. Studies revealed that the spice is a powerhouse of numerous antioxidants such as quercetin, anthocyanins, and phenol. People with diabetes will be delighted to learn that rosemary doesn’t only add flavors to their meals but it could help neutralize high glucose levels as well. Regular consumption of the herb is highly beneficial for gestational and type 1 and two diabetes. It benefits regarding diabetes are famous across the world. Oregano could reduce glucose levels in your bloodstream if regularly consumed in moderation. Nutritionists suggest that consuming sage along with prescribed medicines for diabetes can maintain the irregular sugar levels adequately. That is why it remained a part of traditional medicine for centuries. You can incorporate basil leaves into your daily routine by adding them to the meals you prepare and can consume one tablespoon juice of it before breakfast. It may seem unbelievable but consuming a tea made with fresh mango leaves can do wonders for people with diabetes. All you need is 15 mango leaves, boil it for at least 15 minutes and drink it after straining on an empty stomach. You should drink it at least once in a day to balance sugar levels the bloodstream. jar and keep in the refrigerator for up to 6 days. Drink about ½-1 cup every morning on an empty stomach.